Public holidays in the Republic of Ireland do not (always) tally with holidays in Northern Ireland and can be a confusing issue - indeed many guidebooks and websites seem to get something wrong. And seem loath to correct it, too. The best example being Good Friday, which is not a general public holiday (though alcohol may not be sold on this day). Trying to bring some light into this murky issue, here is a definitive list of public holidays in the Republic of Ireland. New Year's Day is a public holiday all over Ireland, most businesses will be closed, and public transport will be down to the bare bones. Should January 1st fall on a Saturday or Sunday, the following Monday will be a holiday in lieu. Saint Patrick's Day is a public holiday all over Ireland, most businesses will be closed for at least part of the day. Special curbs on the sale of alcohol have been introduced in many cities, off-license sales are only legal after midday. 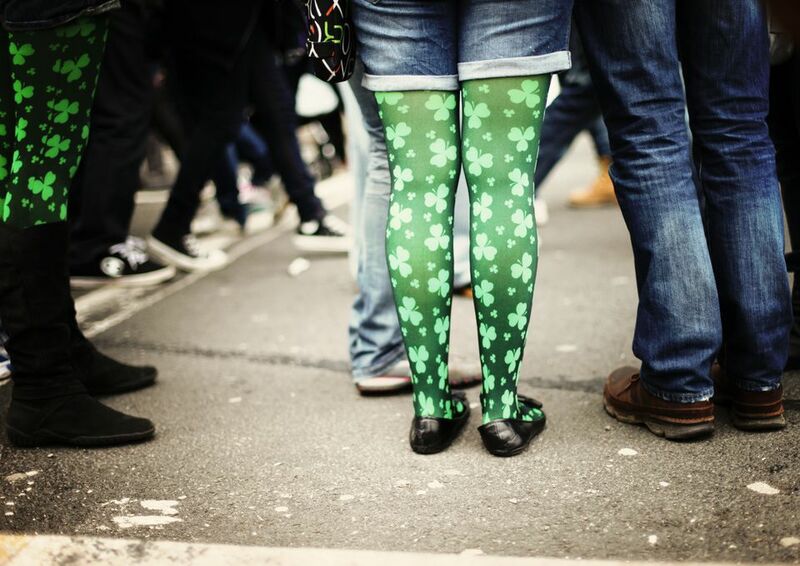 Should Saint Patrick's Day fall on a Saturday or Sunday, the following Monday will be a holiday in lieu. Easter Monday is a public holiday all over Ireland, most (but not all) businesses will be closed. The first Monday in May is a public holiday all over Ireland, many businesses will be closed, though retailers generally stay open in urban areas. The first Monday in June is a public holiday in the Republic of Ireland only, many businesses will be closed, though retailers generally stay open in urban areas. As this is usually a working day in Northern Ireland, cross-border shopping is usually very popular on this day. The first Monday in August is a public holiday in the Republic of Ireland only, many businesses will be closed, though retailers generally stay open in urban areas. As this is a normal working day in Northern Ireland, cross-border shopping is usually very popular – expect delays on routes into Northern Ireland. The last Monday in October is a public holiday in the Republic of Ireland only, many businesses will be closed, though retailers generally stay open in urban areas. Traditionally the Dublin Marathon is held on this day, expect traffic chaos in and around the capital all day. As this is a normal working day in Northern Ireland, cross-border shopping is usually very popular – expect delays on routes into Northern Ireland. Christmas Day is a public holiday all over Ireland - this is the one day where the whole country is dead and closed for business! Should Christmas Day fall on a Saturday, the following Monday will be a holiday in lieu, should Christmas Day fall on a Sunday, the following Tuesday will be a holiday in lieu. Saint Stephen's Day (or Boxing Day) is a public holiday all over Ireland - though sales start in some urban areas, and many shops are open. Should St Stephen's Day fall on a Saturday, the following Monday will be a holiday in lieu, should St Stephen's Day fall on a Sunday, the following Tuesday will be a holiday in lieu. Good Friday is a public holiday in Northern Ireland only. In the Republic there are no alcohol sales allowed and pubs will generally open only for meals; also banks will remain closed on Good Friday. Expect cross-border traffic from Northern Ireland heading for retail centers in the Republic, depending on the exchange rate (and often the relative price of chocolates, petrol, or alcohol). Since 2004, school terms in the Republic of Ireland have been standardized – with the notable exception of the dates for the start and the end of the school year. Schools re-open after Christmas break in the second week of January. February mid-term break - up to a week in mid-February. Easter break - all schools close for two weeks around Easter. Summer break - all schools are generally closed for July and most of August. October mid-term break - a long weekend in late October. Christmas break - all schools close on the Friday before Christmas (generally). As you have seen, some (but not all) public holidays are in force all over Ireland. There are, however, differences on several days and these usually tend to favor cross-border excursions for shopping or recreation. Traffic jams may ensue, especially around main retail centers.